National Ride2School Day is one of the best days on the school calendar. It’s a day full of fun and colour, a chance for every student to discover and celebrate the joy of riding. For some students, it’s the first time they ride to school, for others it’s a party where they get to show off the fun they have every day. Schools who register to be part of the 2019 event will receive a Ride2School Day pack in the mail, including posters and resources to help you celebrate. In the 1970s, eight out of ten students rode or walked to school. Today that number has dropped to just two out of ten. Do you remember the joy of riding through the neighbourhood with your mates in tow? In 2019 we’re going ‘Back to the 70s’ and want you to share a retro photo of yourself or a loved one riding a bike back in the day! The retro photos will remind us all of the great times we had riding to school and inspire today’s students to get on two wheels and experience the fun as well. Your photo doesn’t have to be from the 1970s, it can be from any era when the riding was great and the clothing embarrassing, but there are bonus points if you can get something from the 70s. Post your photo on Facebook, Instagram, Twitter or email us your entry before National Ride2School Day 2019 and you’ll go in the running for 1 of 5 $100 contributions to your Bicycle Network membership. 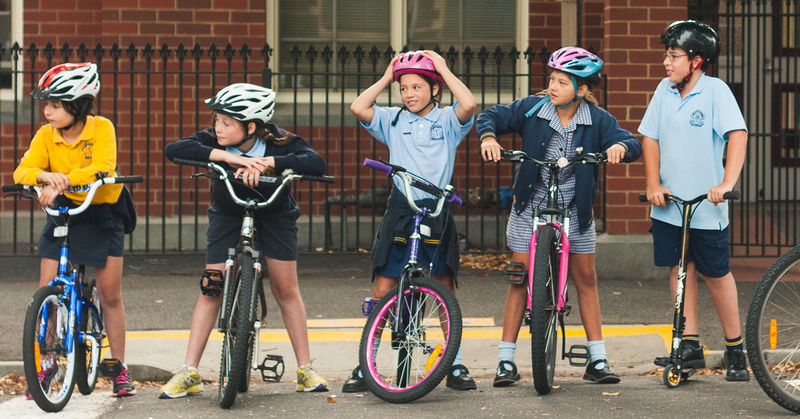 All you need to do is tag @Bicycle_Network and add the hashtags #Ride2School and #Back2the70s. Get creative! MIND.BODY.PEDAL is an event for secondary schools that aims to inspire, energise and empower girls to get active through bike riding. 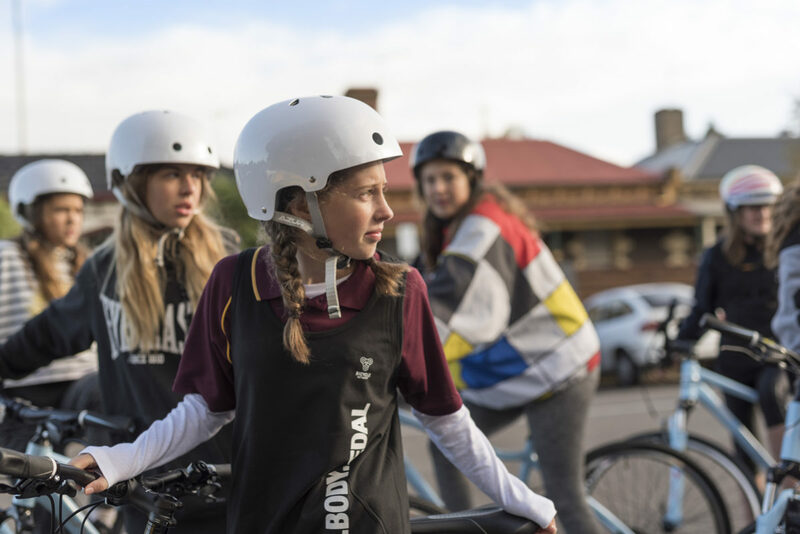 Led by a team of experts, MIND.BODY.PEDAL sets out to support and celebrate the differences that make girls unique, while addressing issues of self-esteem and confidence that hold many back from riding a bike. Experience a school camp like no other at the Great Vic Bike Ride! You’ll join a rolling bike festival over 5 or 10 days while your school rides through some of Victoria’s most scenic destinations. 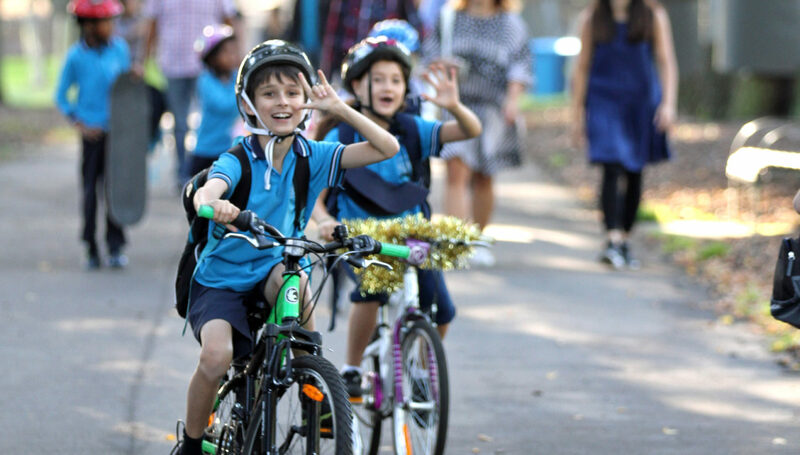 Bicycle Network takes care of everything from campsites, food and medical to full on-route support, so all you need to worry about is having an amazing time with your students, parents and fellow teachers. Held during Term 4 in late November and early December it’s a great way to end the year and an opportunity to focus on education and developmental goals away from the classroom. Simply register your interest today for 2019 and we’ll be in-touch to tell you more!